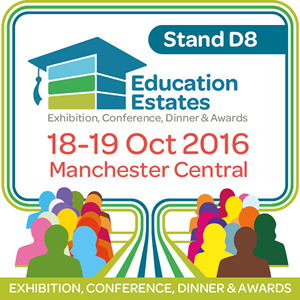 One of the UK’s leading independent waste management companies will be making its debut appearance at this year’s Education Estates exhibition being held at Manchester Central Convention Complex on October 18-19. Award-winning CSG, which has its headquarters in Fareham, Hampshire, operates from 27 sites stretching from Cornwall to Kent and up to Manchester and Middlesbrough. The company is active in a wide range of sectors from metals recovery to chemical waste; oil recovery to the treatment of contaminated construction wastes, and printing industry by-product recycling to industrial tank cleaning. CSG customers include local authorities, universities, supermarket chains, utility companies and forecourt operators. Its facilities include an industrial waste treatment and recovery centre at Cadishead near Manchester where a range of pioneering technologies have been developed to handle some of industry’s most difficult and hazardous wastes. The company’s specialist chemicals handling division, based at CSG’s Rochdale site, will be at the exhibition to showcase the services it provides. These include the collection of packaged hazardous chemical waste from laboratory, clinical and pharmaceutical facilities, solvent recovery, asbestos handling and disposal and clearing chemicals from water treatment works. CSG’s specialist team also provides on-site training in chemical handling, segregation and storage, and company technicians will be on hand at the exhibition to offer advice and information. The division’s clients include schools, universities, research centres, government departments and pharmaceutical and chemical manufacturers. CSG was recently handed a two-year contract to remove and treat all hazardous chemical waste from the University of Leeds’ laboratory complex. Earlier this year, the company launched a campaign encouraging facilities producing chemical waste – much of it toxic, flammable and corrosive – to detox their laboratories on a regular basis.